This roller tool allows the installer to roll across the taped edges of the flexible anchoring to provide a smooth, consistent adhesion with no air gaps. 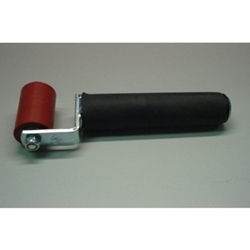 This tool comes with a 2 inch roller for medium to large anchoring profiles. This tool also features a universal threaded handle which enables the use of an extension handle.